Mouse mats make using your mouse easier, and because they're so cheap, adding a new mouse mat to your PC set-up is one of the most affordable and easy ways to enhance your computing experience. When you’re a gamer, you need to be able to accurately control your mouse, especially when your game calls for precision. If you’re working from home, you want all the same comforts that you’ve got at work, including a mouse mat. 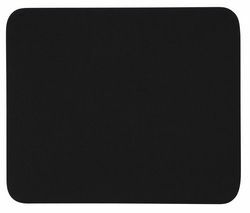 Mouse mats allow your mouse to glide effortlessly, meaning it won’t get stuck on anything and slow you down. Our mouse mats come in a range of stylish designs so you’ll easily find one that suits your home or office. And you won’t need to break the bank to get your mouse moving with ease as you’ll find we have plenty of cheap mouse mats online. If you’re in the market for a new mouse mat, it might also be worth checking out our collection of mice and treating yourself to a new one, especially if you are a gamer and while you’re at it, why not take a look at our keyboard range. 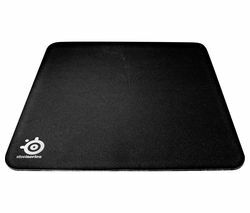 Whether you’re replacing your old mouse mat or you’re looking for a better way to use your mouse, our mouse mats are ideal.